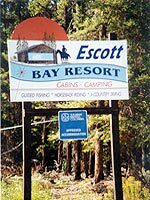 Escott Bay Resort on Gorgeous Anahim Lake is Located in the West Chilcotin. 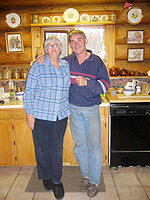 By vehicle, it's a three to four hour drive on Highway 20, west from Williams Lake. Highway 20 is now paved all the way to Anahim Lake. 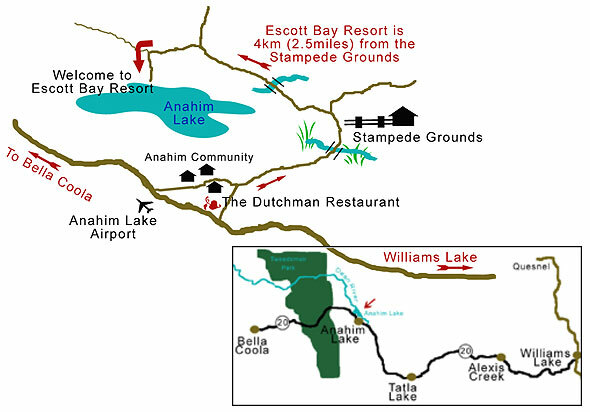 Should you fly in by private plane, the Anahim Lake Airport has a 1,150 meter (3,772 foot) landing strip and AV gas is available at the airport. For our flying customers we offer courtesy pickup and a resort vehicle is available for your use while staying here. Throughout the tourist season, Pacific Coastal Airlines, based at Vancouver International Airport, has daily flights into Anahim Lake. And when planning your trip, contact the resort to see if special resort rates might be available.